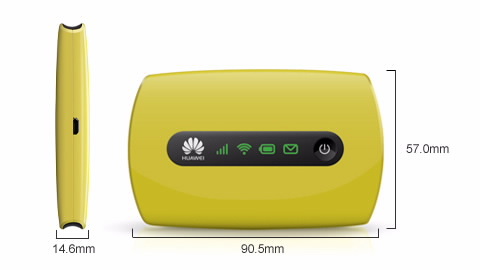 HUAWEI E5221 Mobile WiFi is a high-speed packet access mobile hotspot. It is a multi-mode wireless terminal for SOHO (Small Office and Home Office) and business professionals. You can connect the E5221 with the USB interface of a computer, or connect the E5221 with the Wi-Fi. In the service area of the HSPA+/HSPA/UMTS/EDGE/GPRS/GSM network, you can surf the Internet and send/receive messages/emails cordlessly. The E5221 is fast, reliable, and easy to operate. Thus, mobile users can experience many new features and services with the E5221. These features and services will enable a large number of users to use the E5221 and the average revenue per user (ARPU) of operators will increase substantially.